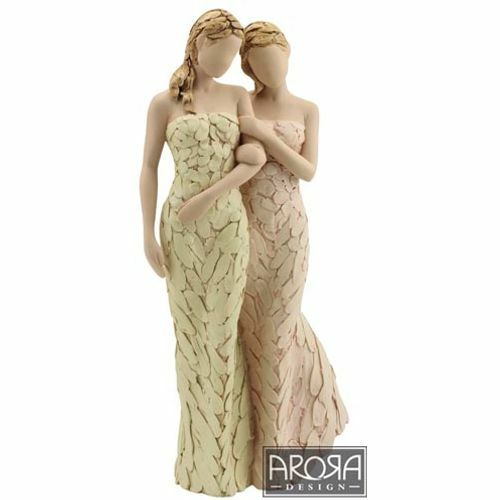 An exquisite figurine from the Arora Designs More Than Words collection of sentimental sculptures. The My Sister My Friend figurine features two elegant young women one wearing a lemon the other peach dress arm in arm. This pretty figurine is a wonderful way to show your love to your sister. Each figurine is presented in its own individual gift box, accompanied by a name card detailing the sentiment.